The Orbital Sciences-built Cygnus spacecraft has returned from its voyage to the International Space Station, where the cargo ship delivered 3,669 pounds of supplies for the ISS crew. Cygnus unberthed from the orbiting laboratory Friday after staying 31 days there and reached Earth’s atmosphere Sunday at around 9:15 a.m. Eastern Time, Orbital Sciences said Monday. 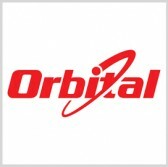 “Orbital’s third cargo delivery mission to the International Space Station concluded with the controlled reentry of Cygnus over the unpopulated expanses of the Pacific Ocean,” said Frank Culbertson, executive vice president and general manager of Orbital’s advanced programs group. The company has completed a demonstration flight and two operational flights under a $1.9 billion NASA resupply services contract. Under the contract, Orbital will perform eight ISS resupply missions for NASA through late 2016 using the Cygnus spacecraft and the Antares rocket. Cygnus is scheduled to fly again in October to deliver 5,050 pounds of scientific cargo and related supplies to the station.